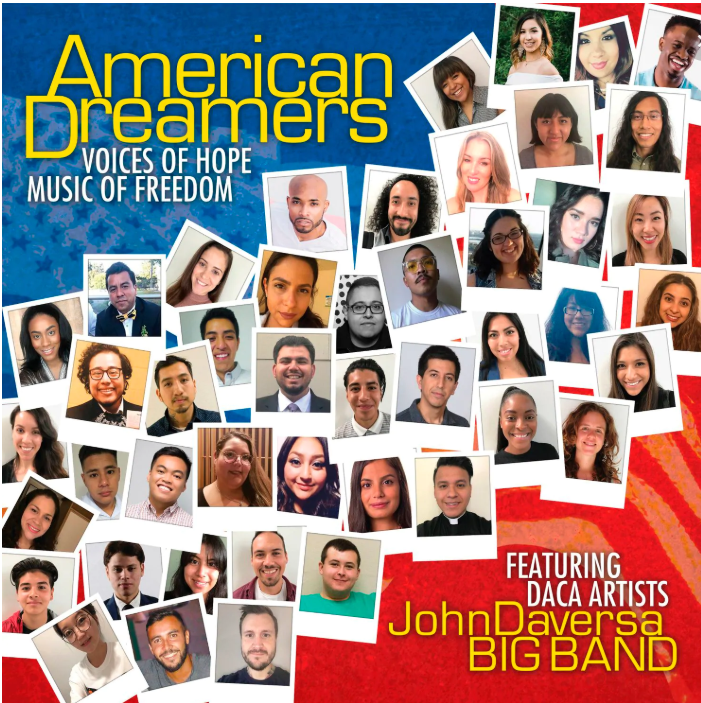 Grammy-nominated trumpeter, composer and arranger John Daversa has delivered a brand new project called American Dreamers: Voices of Hope, Music of Freedom (BFM Jazz), which is performed by the John Daversa Big Band—along with a group of talented DACA artists. The 53 “Dreamers” on the album come from 17 U.S. states and 17 countries of origin, but they share the same desire: to be recognized as Americans. Brought to the U.S. illegally as children, this group and millions like them, now face an uncertain future as politicians delay and debate their fate. The album is available via all retailers and DSPs today.